We are trying to RV but the housing market stopped us from putting the house on the market. We owe what the house is now worth as opposed to 5 yrs ago. How to budget is the biggest quarrel we have about to RV or not to RV. As one's who did not save enough or watch it go before we could withdraw money, how is it we live a simple life, like when we were first married? To struggle, and then work and end up struggling harder, seems so unfair. RVing allows us to get away but budgeting is the biggest issues. Any suggestions???? 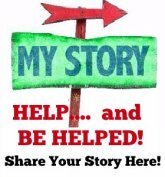 I hope someone else can help you when they read your story! It is hard to respond to these type of problems. My wife and I left our home to live in a Motorhome, but this was by choice. To work. Living in a camper must be cramped, but you can do it. Yes we were Blessed by God, we probably did not qualify for the 29foot class C and probably would settle for a 21 foot if need be.... we were in the motorhome from 1997 to 2003. (In Vancouver B.C. Canada ( Cold days too) she passed away in 2003 from Pancreatic cancer... I also worked from the M/H doing Bookkeeping and finally some Auditing. God bless you All and Pray can help at times. for A Year at the Cost of Staying Home." @ 50+ event. They wrote the book and updated it for 2nd edition. It's a real how-to book, working on the road, home schooling for families with children, choosing the RV, planning the itinerary and the budget. Take a look at their website www.roadtripdream.com. While doing the RV thing is a good life, with less expenses and less stress, one does not want to let go of the equity of the home *unless it's no longer viable. I live in Florida where rent for RV's can go from $250 to $900 a month, depending on where you want to be. That plus gas and maintenance on your RV and your normal living expenses will determine whether you can live simple and let go of your home or not. Put the numbers on paper. This isn't about being fair. It's about surviving as we all are. If you have an excellent rate on your home mortgage and your taxes are doable on your income, forget the RVing.. but if not..l et go and enjoy your new life! You will feel like you're 18 again and "not fair" won't matter as you shed years of worry and pain in maintaining "the American life".